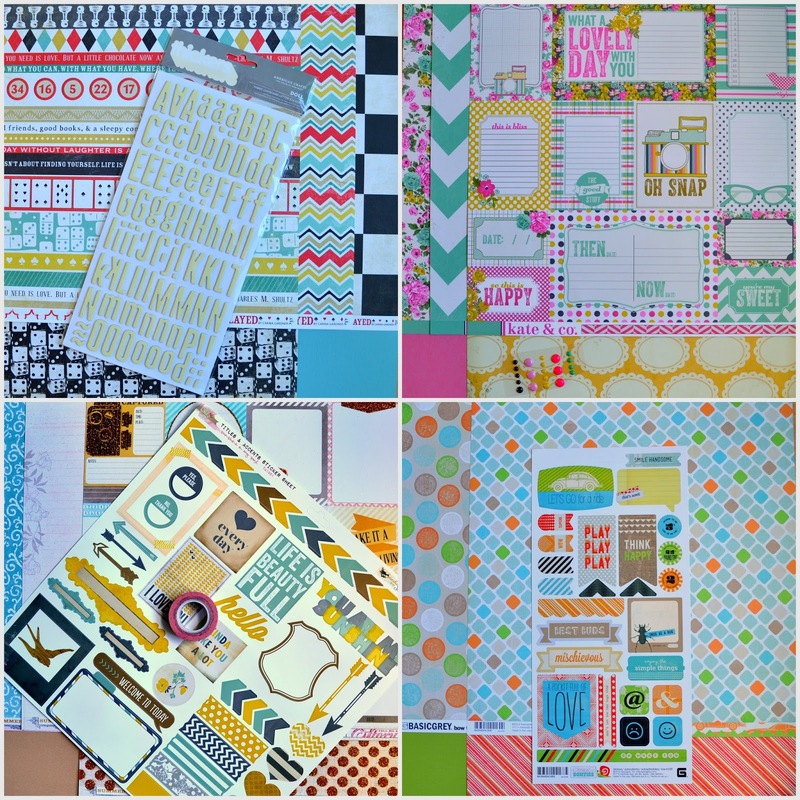 I fell in love with this paper collection as soon as I saw it - Kate & Co by My Mind's Eye. The colours are beautiful and work so well together. 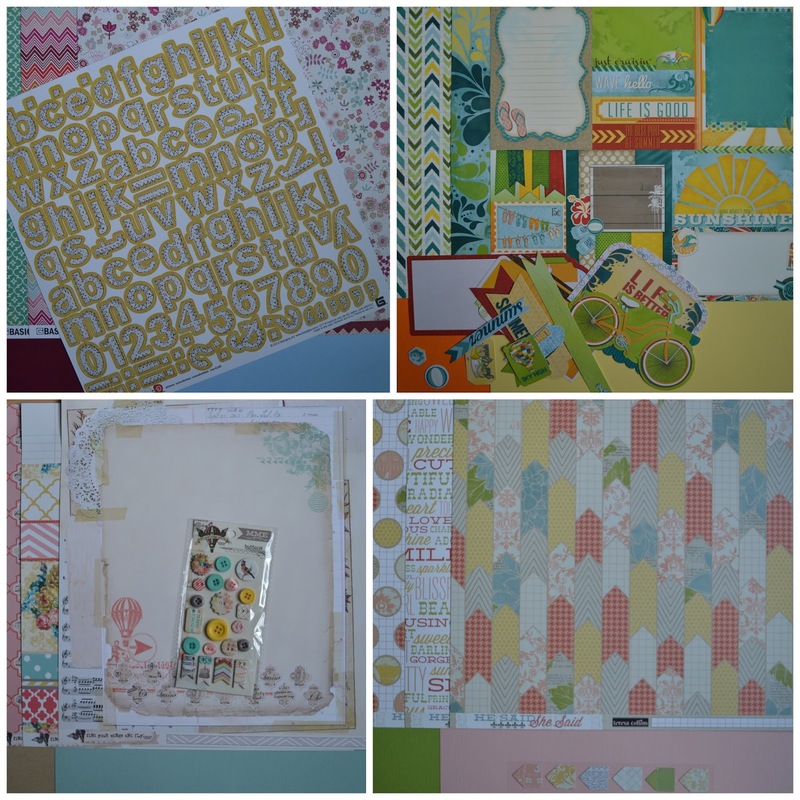 I love the little journaling cards cut-apart sheet that was in the kit - lots of fab little motifs to work with there. I decided to maximise the use of the journaling cards on my first layout and create a very block-y layout and I embellished using the enamel dots that came with the kit. I also used more of the jorunaling cards on my second layout but I cut out some of the elements and layered them more rather than them all being on show completely like in the last layout. Again the layout is embellished using enamel dots. Love these layouts! The colors are so bright and cheery!